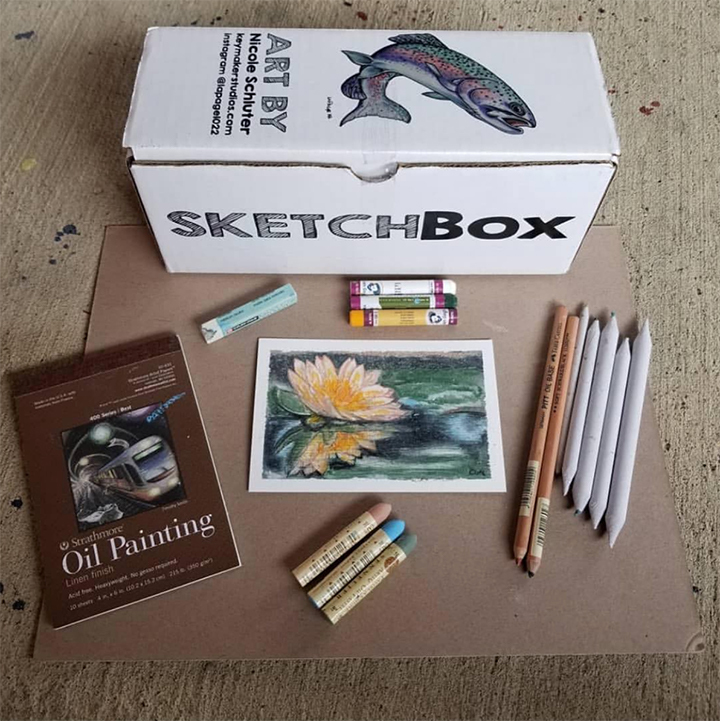 This box is all about oil pastels! Our February 2019 Premium box includes three Sennelier oil pastels in ash blue, flesh ochre, and green-gray, and three Van Gogh oil pastels in white, deep yellow, and sap green. To outline your drawings and to provide better detailing we added two Faber-Castell PITT monochrome oil pencils in sanguine and black. We've also included a pastel extender by Cray-Pas, a 7-piece blending stump set by Spectrum Noir, and a custom size Strathmore oil painting pad. Art by the talented @oliviabethworks.